When Open Banking was introduced last year, it was viewed as the silver bullet that could drive financial services innovation while transforming customer experience. Many thought it was too good to be true, but was it? Below Karen Wheeler, Vice President and Country Manager UK at Affinion, gives Finance Monthly the rundown. YouGov research highlights that 72% of UK adults haven’t heard of Open Banking and according to PwC, only 18% of consumers are currently aware of what it means for them. However, that doesn’t mean the changes aren’t filtering through. The Open Banking Implementation Entity (OBIE) reports there are now 100 regulated providers, of which 17 Third Party Providers (TPPs) are now using Open Banking in the UK. Open Banking technology was used 17.5 million times in November 2018, up from 13.9 million in October and 6.5million in September, with Application Programming Interface (API) calls now having a success rate of 97.7%. One of the earliest examples was Yolt, by ING Bank. It showcases a customer’s accounts in one place so they can see their spending clearly and budget more effectively. Similarly, Chip aims to help people save more intentionally. Customers give read-only access to their current account and then sophisticated algorithms calculate how much a customer can afford to save, and puts it away automatically into an account with Barclays every few days. High Street banks have certainly taken inspiration from fintechs. For example, HSBC released an app last year enabling customers to see their current account as well as online savings, mortgages, loans and cards held with any other bank. The app also groups customers’ total spending across 30 categories including grocery shopping and utilities, making it a really helpful budgeting tool. Perhaps, most advanced of all, Starling Bank allows customers access to its “Marketplace” where they can choose from a range of products and services that can be integrated with their account. The offering currently includes digital mortgage broker Habito, digital pension provider PensionBee, travel insurer Kasko, as well as external integrations such as Moneybox, Yoyo Wallet, Yolt, EMMA and MoneyHub. One key question is whether Open Banking puts the needs of financial services companies over those of the consumer. There is a general cynicism regarding the real reasons for encouraging Open Banking and this is exacerbated when most customers aren’t seeing the benefits. Also, there is confusion caused by the apparent conflict of interest between Open Banking and GDPR. In this day and age, do consumers really want more organisations to have access to their data? Can they trust the banks? 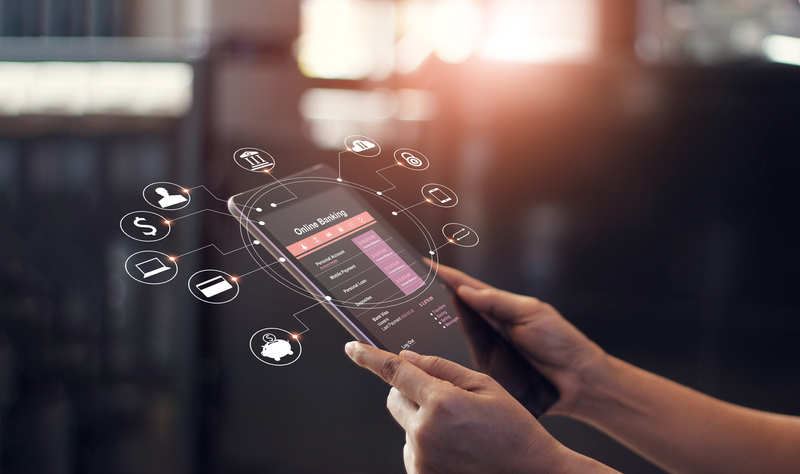 According to PwC, 48% of retail banking customers cite security as their biggest concern with Open Banking and this is a significant barrier to overcome. It’s hard to overcome cynicism and doubt. Perhaps, once customers begin to enjoy the positives, they will be less sceptical about Open Banking, leading to more opportunities to build longer term customer engagement. For example, if products help them avoid going into debt or nudge them when new mortgage rates are on offer, they will see that banks are using the technology to support wise financial management rather than just serve their own marketing purposes. It’s also hard to change entrenched consumer habits. To encourage consumers to get in the habit of comparing and switching, financial organisations must create truly compelling propositions. They need to focus on delivering intuitive, useful digital products which make a real difference to customers’ daily lives. They also need to demonstrate how seriously they take their role in the fight against cybercrime while educating the consumer about how Open Banking works and how to protect their data. For example, many may not realise that one of the key tenets of Open Banking is security. Open Banking uses rigorously tested software and security systems and is stringently regulated by the FCA. Placing the customer at the centre of their finances and giving them complete control directly increases competition and brings a myriad of everyday benefits to the customer. There is huge opportunity for traditional banks, fintechs and disruptors to use Open Banking to pioneer new products that build longer term customer engagement. However, the current priority is communicating the huge advantages and opportunities that Open Banking brings while reiterating that their data will remain secure. Open banking is helpful for budgeting and consolidated report. Good to know that FCA regulates open banking. Can you please create a post about benefits of open banking?